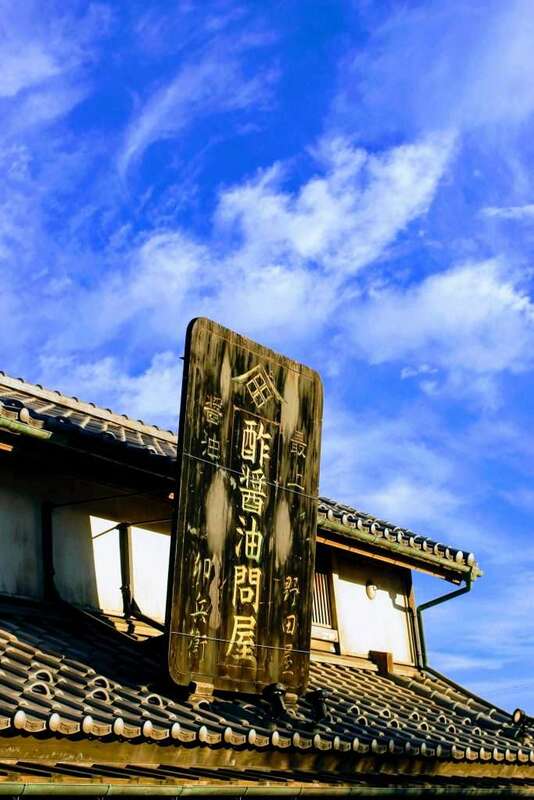 The Onihei Edo-dokoro Parking Area is a rest stop in Hanyu, Saitama, on the Tohoku Expressway on the way into Tokyo. It is most commonly called the Hanyu Parking Area despite their best efforts to market it by the name of the character it was called after. Onihei Edo-dokoro is a bit of a mouthful afterall. And if you aren’t familiar with the character of Shotaro Ikenami’s novels Onihei, it is also quite hard to remember. However, the character is known and loved by the vast majority of Japanese adults. Onihei is a fictional character based on a real life person Hasegawa Heizo. The stories by Shotaro Ikenami were made into movies, TV programmes, stage shows and even manga, so he is a household name. Sightseeing on the Tohoku Expressway! 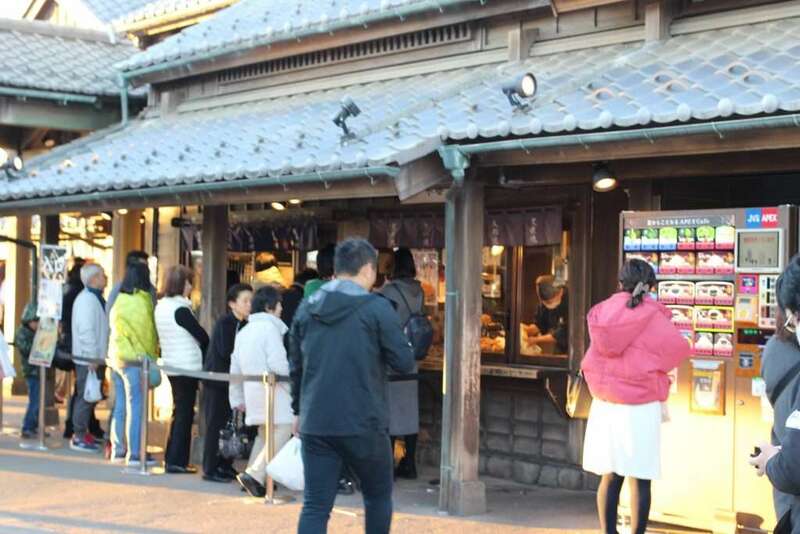 Hanyu Parking area is as much a tourist attraction as a rest area. 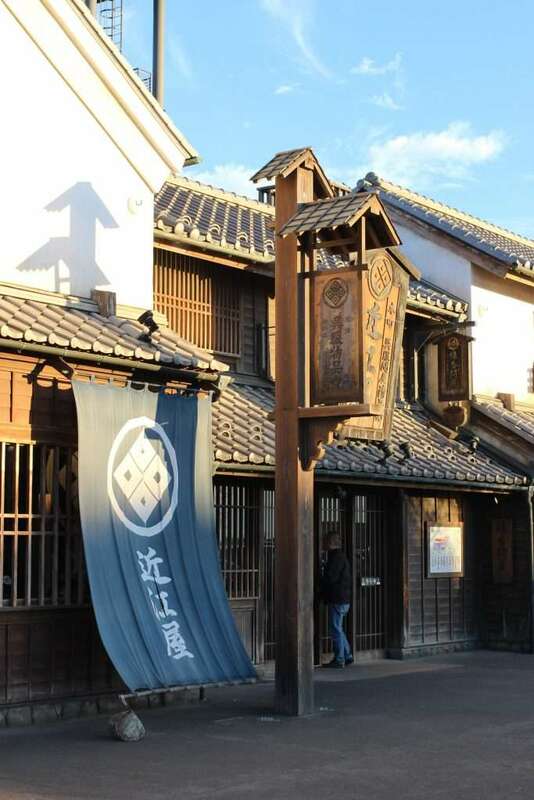 With its Edo period design and ninja show and street performances on the weekend, the Hanyu Parking area has created an added incentive to go by car not train to and from the Tohoku region. 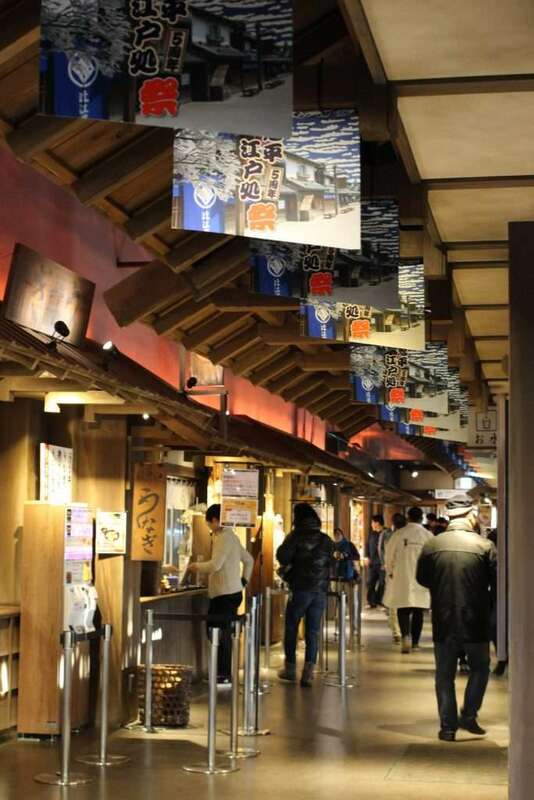 the interior keeps with the exteriors image and replicates an edo period shopping area. 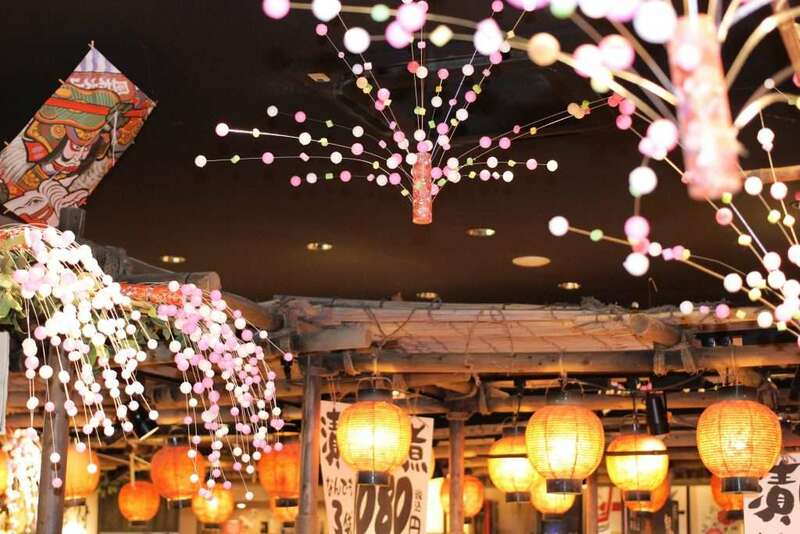 A lot of the food and souvenirs are also based on commonly served dishes from the Edo period such as Unagi (eel). And the Onihei characteristic also goes further than the name. 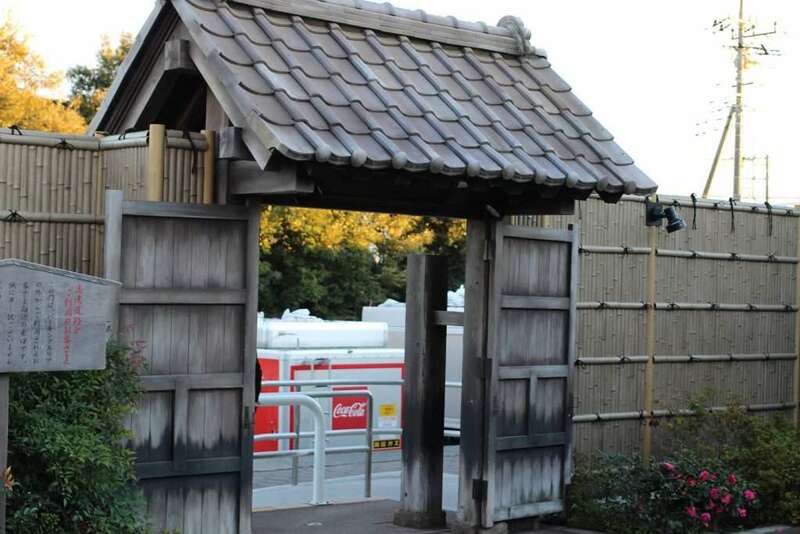 There is food sold in the parking area that was taken from Ikenami’s books. For example “ippon udon” literally meaning one piece of udon. And that’s what it is. One piece of udon for 800 yen! Its 50 cm long and 2.5 cm wide. We use the Tohoku expressway at least three times a year for travels to Tochigi. We usually stop further North at one of the larger parking areas such as Sano to break up our journey. But last year we stopped in the inbound Hanyu Parking area for the first time in about four years and were so surprised by the transformation. We had known they were doing up the parking area five years ago. And had heard and seen tidbits online and in books about the new and improved timeslip parking area. But it is even more impressive in real life. So much so that we went out of our way during our December trip to Tochigi to stop in the Edo-esque parking area again on our way home. When we stopped in January 2018 we were on our way home from Edo Wonderland. It was like we were still in the theme park! It was late in the evening so the buildings were lit up. The parking area really is beautiful by night, but hard to see clearly, particularly the intricate details of the props on site. So we wanted to visit during the day too for a comparison and we accomplished that in December. If you are visiting the parking area, I recommend that you time it for just before dusk so that you can appreciate the detail in the daylight and then witness the charm when it is lit up in the dark. And if you can make it on a weekend you might be able to see one of the Ninja performances and/or street performances. Hours: Facilities such as toilets are available 24 hours, restaurant closes at 9 pm. Access: First parking area after you cross over the Tone River from Tochigi to Saitama. Parking: for 148 large vehicles and 114 for cars. 4 car spaces and 1 larger vehicle parking space available for people with lower mobility or disabilities. Nursery with diaper changing facilities and boiled water available. The previous parking area is Sano and the next parking area is Hasuda parking area if you stay on the Tohoku. But if you change onto the Ken-o expressway the next parking area is Shobu Parking area. these are awesome – i def would love to try and make it there sometime for sure ! thanks for sharing such a fun experience! it looks like an outdoor museum! Its really cool, but as you can imagine: really busy! !